Jim Fry fondly remembers hearing the stories of the local Elders as he was growing up in the small farming community of Richfield, Ohio. They spoke of unpaved dirt roads, only occasional mail deliveries, seeing the first car or airplane and even continued to debate about The War Between the States. When the freeways passed thru Richfield, the farms and farmers began to disappear. Gone were the feed stores and blacksmith and harness shops. Not far away the horse farm on the hill became a place of banks, condos and restaurants. As the fields where Fry once made hay became developments and the final resting places of horse drawn equipment were bulldozed, Jim decided to try to save what he could of a fast fading agricultural past. Jim Fry, the founder of the Museum of Western Reserve Farms and Equipment, has been a life long farmer, historian, educator and social activist. Fry has raised pumpkins and Christmas trees on his family farm. He also for a time had one of the largest Hereford herds in the county, raised corn and oats, spent long summers baling hay, tended what was, at the time, one of the largest organic produce operation in the state. He presently raises rare breed turkeys and chickens, milks goats and boards horses and llamas and of course continues to garden. As an historian, Jim has been a member of the Civil War Round Table, member of the Richfield Historical Society, member of the Seneca Indian Historical Society and active supporter of and contributor to many other area historical associations. He has worked at the well known Hale Homestead and Western Reserve Village. 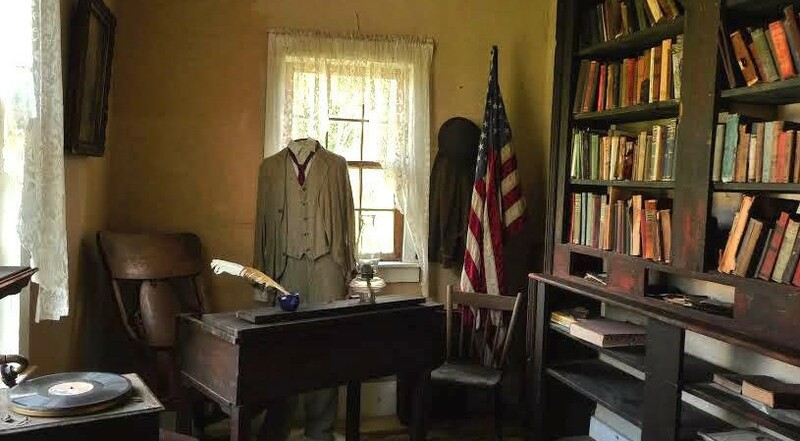 At the Village his responsibilities included learning, portraying and practicing various trades, custom building and repairing antique furniture, the repair and re-erection of historic buildings and various other special projects. Jim’s father, Walter Logan, was a federal judge and his mother, Frieda Mae, was a gold certificate 2nd. grade school teacher. His ancestors include Amish farmers and some of the first pioneers to cross the Appalachians into the great unknown “West” (The first white man to journey through what later became Richfield was his ancestor, Gen’l Anthony Wayne, who lead his troops in the construction of the Fort Pitt to Fort Wayne Trail. That trail followed what is now Columbia Rd. in Richfield.). It has been a matter of much personal pride and satisfaction to Jim to raise the next generation of his family, that first moved to this continent from Northern Europe over 300 years ago. His family helped in the settlement and establishment of this Nation, the struggle to keep it unified and the fight against foreign totalitarians. As a graduate of the University of Akron, Fry received a B.A. degree as an educator and historian. Jim is also certified as a teacher of the Wolf Clan Teaching Lodge and co-taught a Native-American studies course at Kent State University. He has, during the last 40 years, traveled to Europe, Canada and the Middle East and across many states to speak. He has hosted on his farm, gatherings large and small, with as many as 350 people at a time attending weekend workshops and Soltice Celebrations. He has spoken at many universities, churches, conventions, on TV and radio, to civic and social groups and archeological and historical societies and has been the subject of countless newspaper and magazine articles. He was nominated and received the honor of being named one of Ohio’s most interesting people and was the subject of a Pulitzer Prize nominated series of news articles. Jim continues to be available to speak on his favorite topics including the Ancient Traditional Wisdom of the Original Peoples, American history, organic farming and gardening, portraits of early farm life, Prophecy and how to become a Master Dowser. As a caring member of his community Fry was the co-founder of the Richfield Food Co-op, founder of a recycling center, member of the Ohio Ecological Food and Farm Association, member of the Federation of Ohio River Food Co-ops and the founder and director of the Lakota Elders Survival Fund. While overseeing the LESF for 20 years, Fry organized, collected and delivered massive amounts (over 70 semi and box truck loads) of food, clothing, tools and monetary donations to 9 Indian Reservations in 5 states. Jim also organized and traveled with a delegation of Traditional Native Elders to go to Iraq and pray for peace before the 1st Gulf War. While there the group met with and prayed with the various leaders of the then Iraqi government. Jim has been active in union organizing for the United Farm Workers Union and the Carpenters Union. Fry is now a very active teacher of homestead and survival skills to the many folks who travel to his farm from across America. For the past number of years Jim’s efforts and talents have been dedicated to the living history museum. He has averaged moving 4 buildings a year (41 so far) and has recently finished rebuilding & restoring the Randolph Post Office, Baumgartner pavilion, Hamburg Blacksmith Shop and the Gynn corn crib. Plans include saving more buildings this summer, including the Darrowville Post Office. ~~But of all this, Jim is most grateful for the support and loving caring of his wonderful wife, Laura (who is an inspiring teacher of heritage skills, Midwife extraordinaire and fantastic mother). And most blessed and proud of his wonderful seven children, Alisha, Jason, Dionna, Lia, Ada, Eli, Addie and Eamonn, ages 38 to newborn. Life is indeed good. Won’t you join Jim and the others of the Museum of Western Reserve Farms and Equipment? Let’s together save our historic and agricultural heritage.